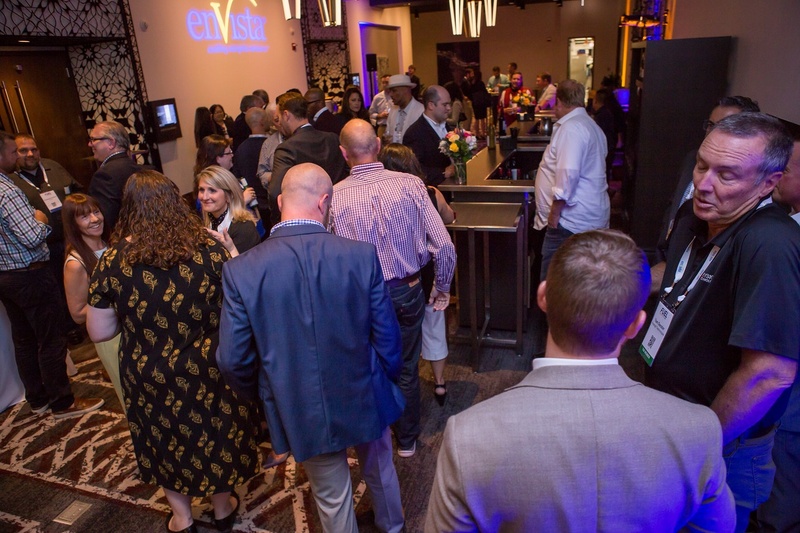 FUEL 2018 was a great success thanks to our over 170 attendees, speakers and sponsors. 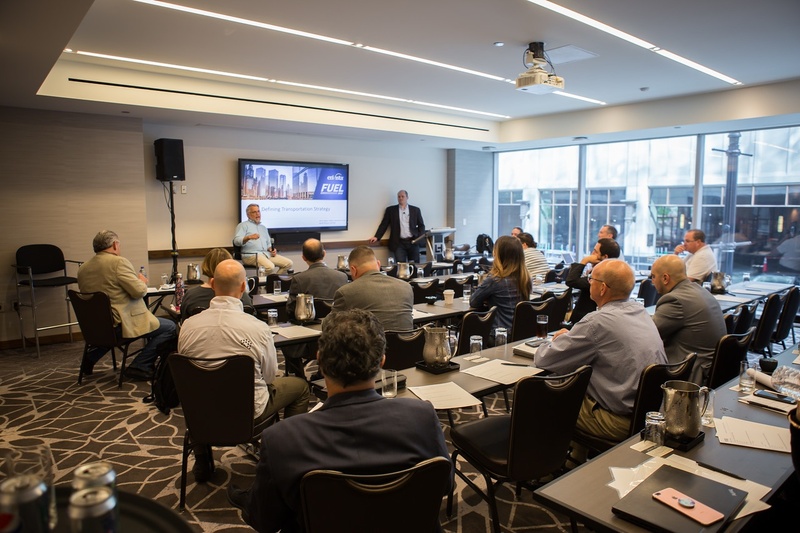 enVista’s second annual supply chain, transportation and unified commerce executive summit took place at the Loew’s Hotel in downtown Chicago September 19th through the 21st. 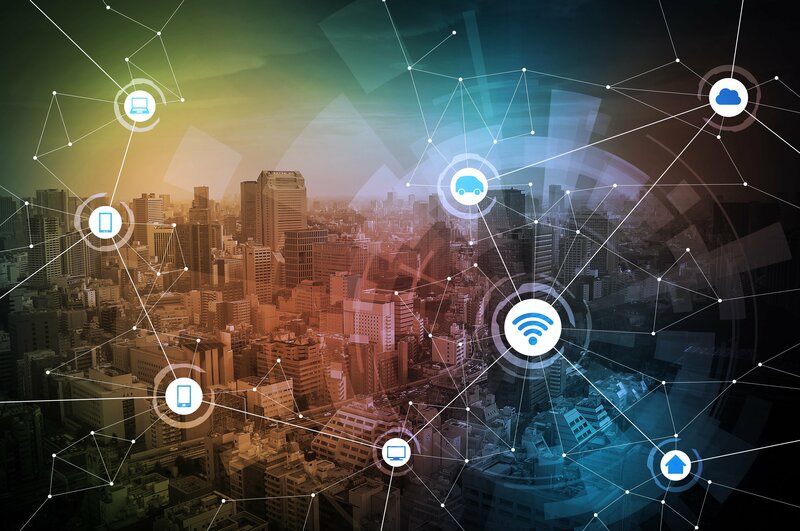 FUEL is designed to help supply chain, transportation and unified commerce executive leaders interested in learning more about optimizing global operations in an intimate setting that facilitates peer to peer discussion. 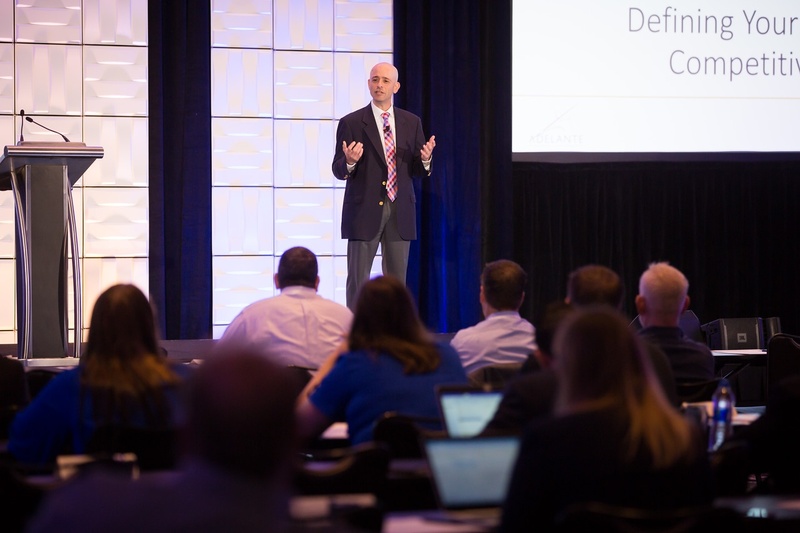 We think that goal was accomplished as attendees sat in on four keynote addresses and 25 breakout sessions among five distinct tracks. 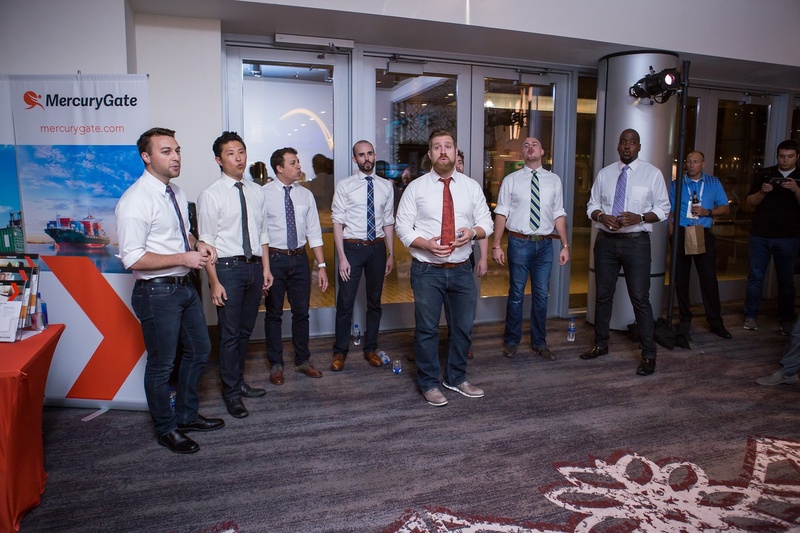 The conference kicked off with an opening night welcome reception on Wednesday where attendees got the chance to know one another and featured a surprised appearance by local a capella group Vocal Chaos! 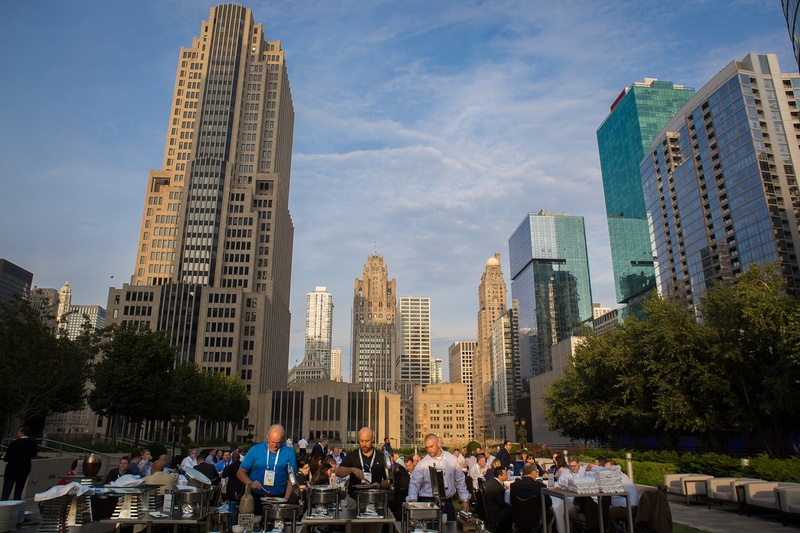 After a breakfast on the rooftop terrace the conference kicked off in earnest bright and early the next morning with a welcome address by enVista co-founder and Senior Managing Partner John Stitz followed by three of our keynote addresses. Rick Blasgen from the Council of Supply Chain Management Professionals (CSCMP) gave his address on The State of Logistics. Blasgen pointed out that the capacity crunch is hitting virtually every mode of transportation. Rail use rose 3% in 2017, while the need for space drove volumes and price up on airfreight. The capacity shortage has also given rise to new players in the market, including an expected increase of 5.5% in the 3PL market from now to 2019. Blasgen also emphasized retailers need to allow ‘buy from anywhere, fulfill from anywhere’ as well as the continued increase in mobile shopping – which accounted for 33% of Thanksgiving/Black Friday/Cyber Monday shopping. 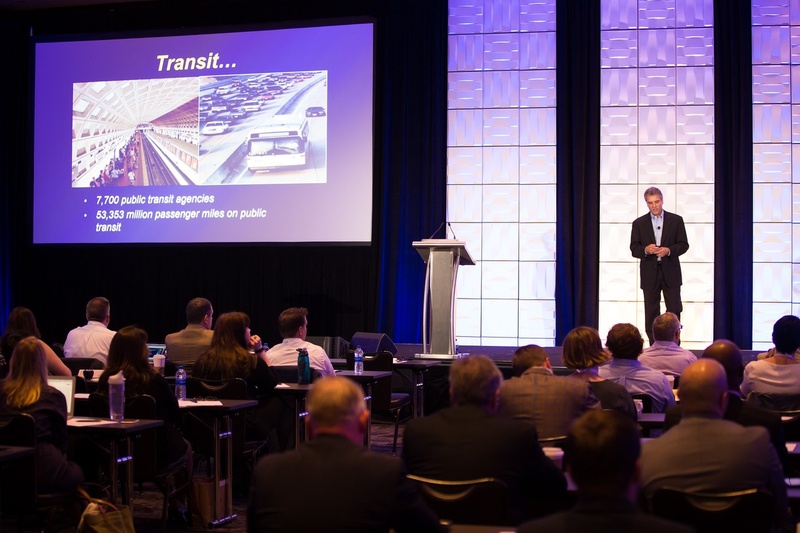 Another highlight of Blasgen’s presentation was the emphasis on the coming driver shortage. 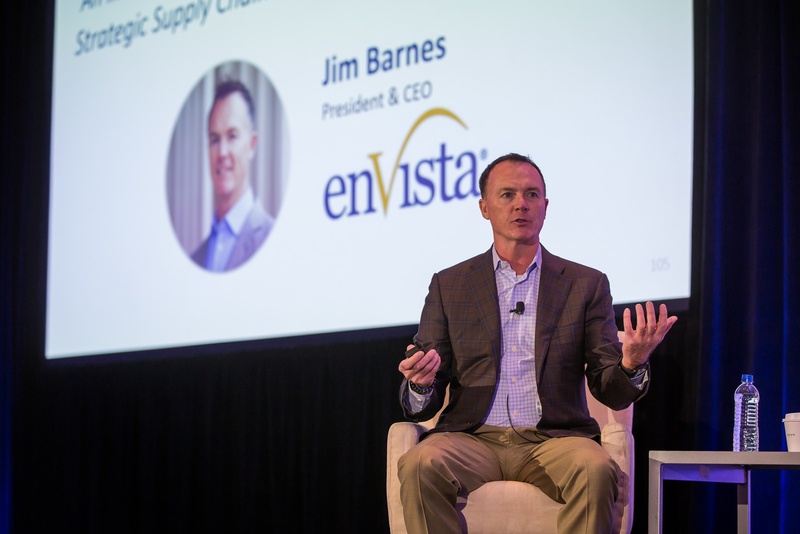 enVista CEO Jim Barnes also led Fueling Your Inspiration & Understanding: An Interactive, Fireside Chat with Executives on Their Strategic Supply Chain & Unified Commerce Initiatives where he was joined by executives from Tractor Supply Co., Sephora, Kellogg’s and Spencer’s. Our last keynote of Thursday was The Great DC Labor Crisis: Where We Stand and What to Do About It? With representatives from HCM Systems, Wegman’s Food Markets, 6 River Systems, Vera Bradley and enVista. 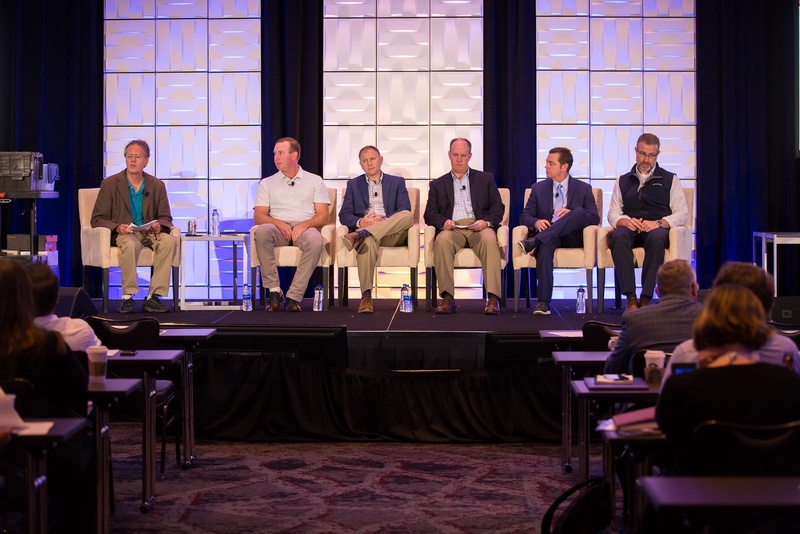 The panel was moderated by Supply Chain Digest’s Dan Gilmore, who worked with the panel to uncover how they are approaching the labor crisis and what issues they are currently facing. Presenters in these sessions included companies like Best Buy, CBRE, ULTA, OnTrac, Urban Outfitters, Luxottica, Briggs & Stratton, Lutron, Baldor Specialty Foods, GNC, Moen, Tractor Supply, Vera Bradley, SanMar, Boston Retail Partners, American Freight Furniture and enVista. The highlight (non work-related division!) of the conference was our lakefront dinner cruise along Lake Michigan on the Spirit of Chicago. 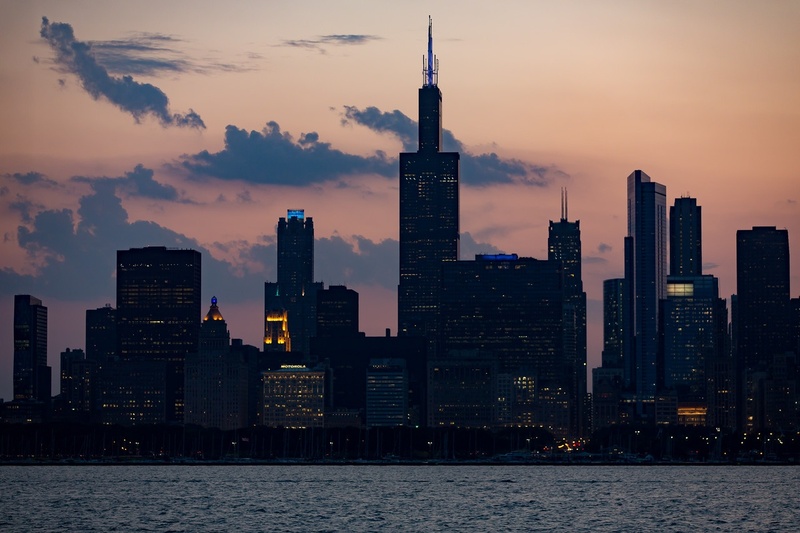 Guests were treated to views of Chicago from the lake during sunset and as night fell. There was also a casino night for attendees who battled it out in Texas Hold’em, roulette, craps and blackjack to take home a prize pack for the biggest winner. Friday morning our conference concluded with a final keynote by Adrian Gonzalez of Talking Logistics on Defining Your Own Logistics Competitive Weapon before breaking out to hear presentations from KeHE, ProShip, Sephora, M. Holland, Saddle Creek Logistics, HCM Systems, XPO Logistics, AmerisourceBergen and enVista. We had a ton of fun at FUEL 2018 and learned a lot! Stay tuned to this blog to read more about some of the breakout sessions in the weeks and months to come! 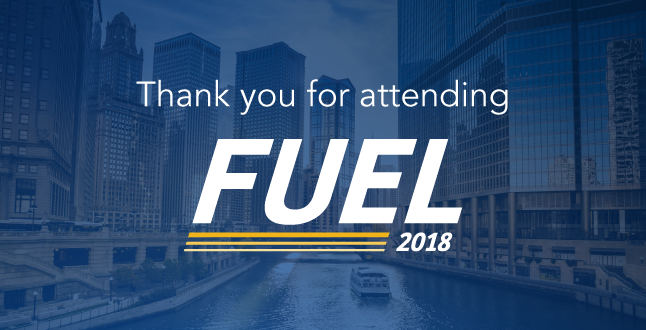 We hope to see you next year at FUEL 2019!